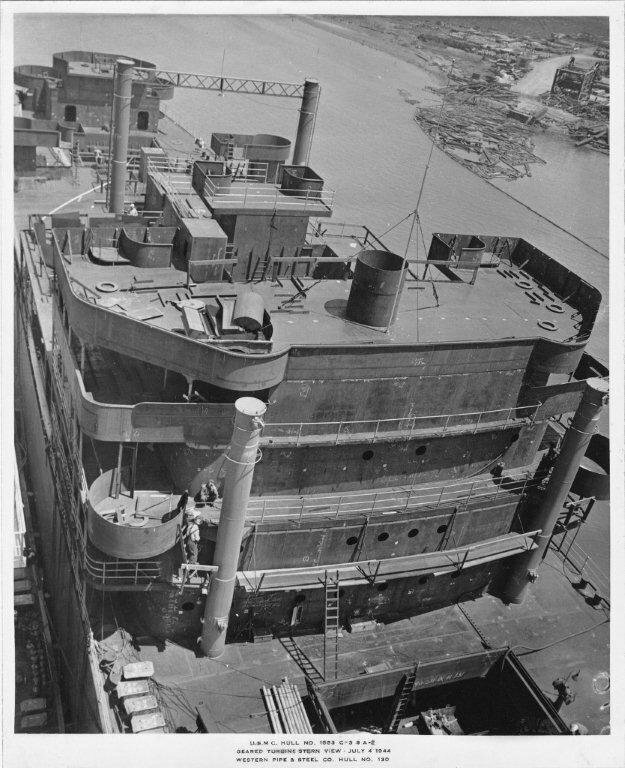 Laid down, 31 January 1944, as SS Sea Hare, a Maritime Commission type (C3-S-A2) hull under Maritime Commission contract (MC hull 1553) at Western Pipe and Steel Co., San Francisco, CA. 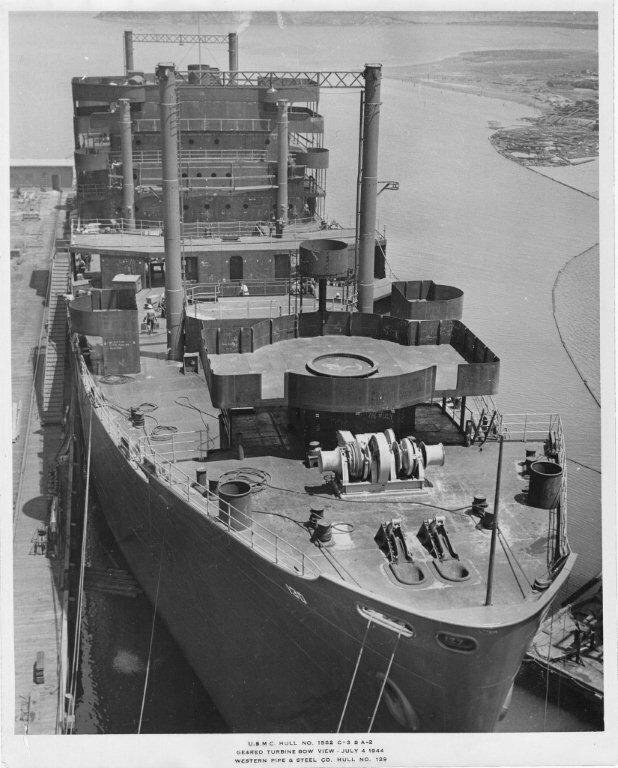 Decommissioned, 20 April 1946, at Norfolk, VA. 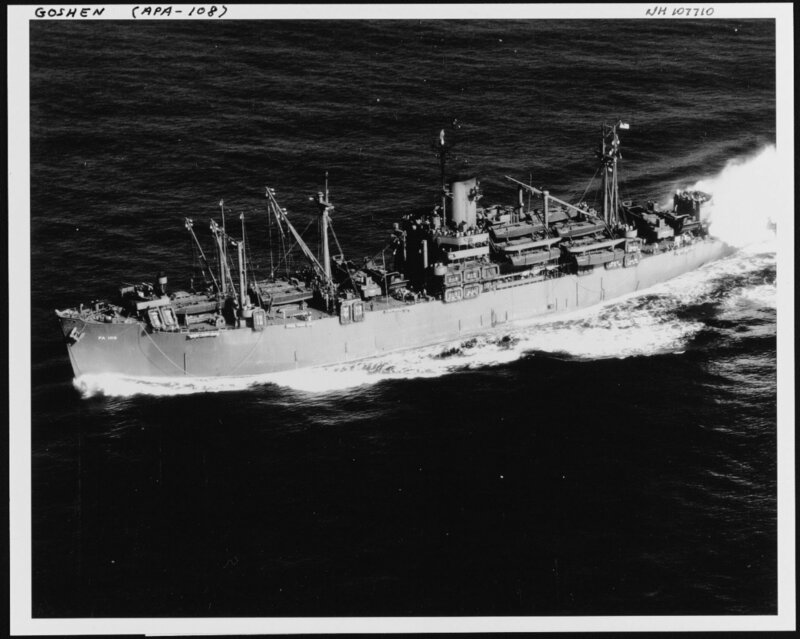 Returned to the War Shipping Administration, 2 May 1946, at the James River National Defense Reserve Fleet, Lee Hall, VA.
Towed 22 November 1946, from from Lee Hall, to Brooklyn N.Y.
Largest Boom Capacity 30 t.
211k USS Goshen (APA-108) under way off the U.S. West Coast during her shakedown cruise, 15 January 1945. 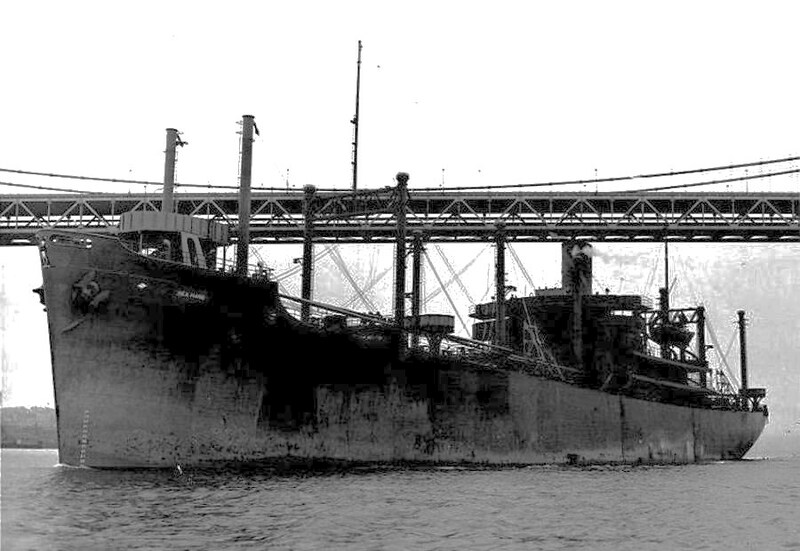 She had been commissioned on 13 December 1944. 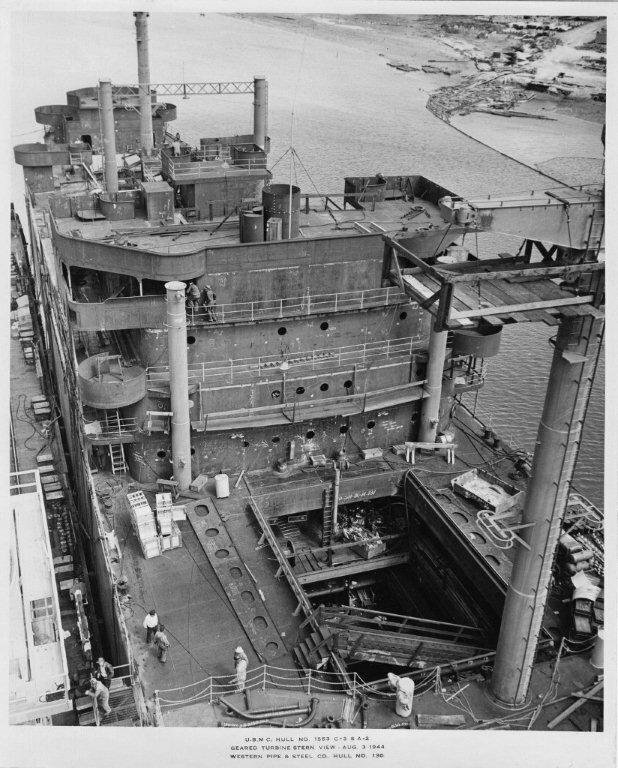 The ship appears to be making a smoke screen from generators mounted on her after deck. This photograph was taken from a blimp of Lighter Than Air Patrol Squadron Thirty One (ZP-31). 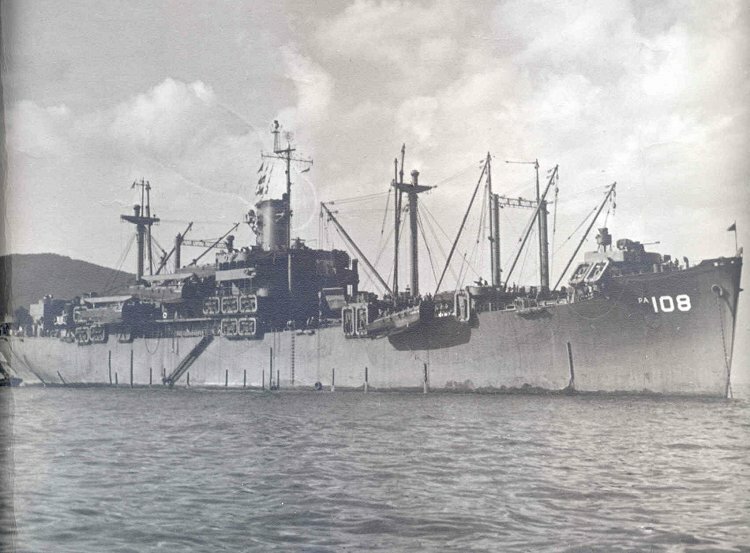 83k USS Goshen (APA-108) at anchor, date and location unknown. 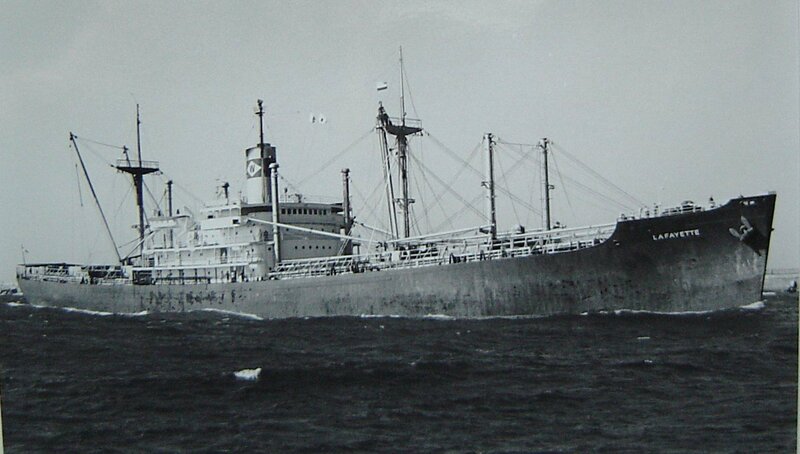 Merchant Service American Mail SS Co. Waterman SS Corp.
286k SS California Mail [ex-USS Goshen (APA-108)] in the livery of the American Mail SS. Co. entering the port of Vancouver. B.C., Canada, date unknown. 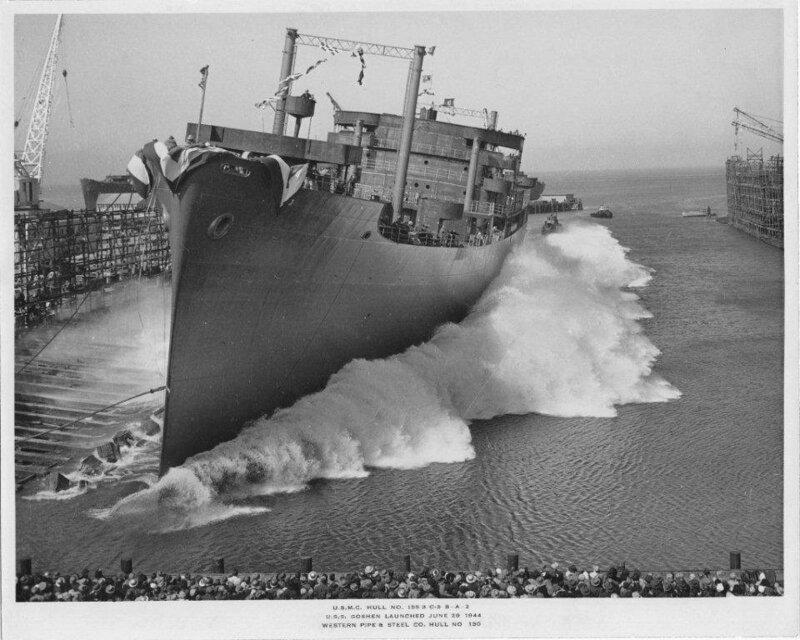 199k SS Lafayette [ex-USS Goshen (APA-108)] in the livery of the Waterman SS. 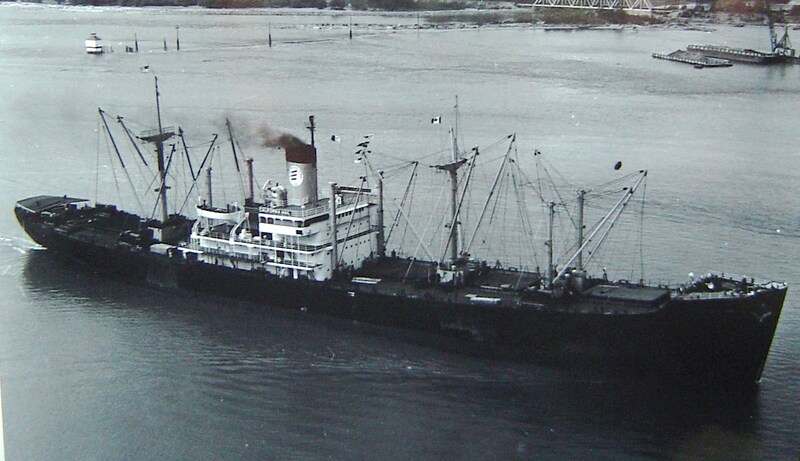 Co. entering the port of Durban, South Africa, date unknown.